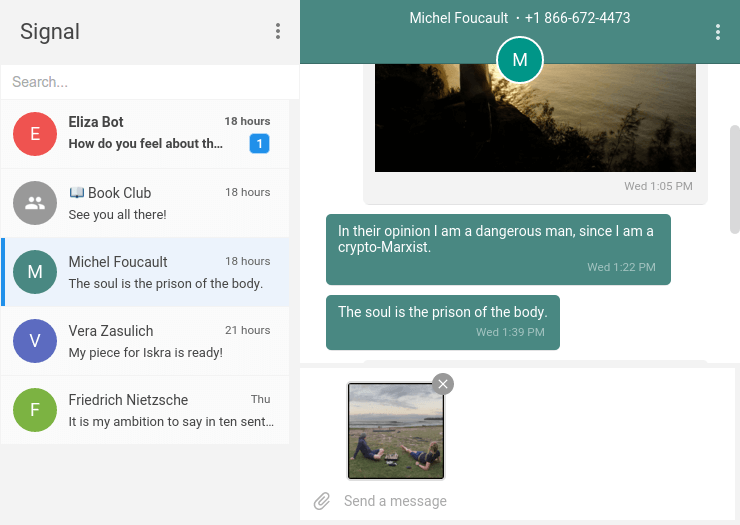 Signal is an encrypted communications application. It uses the Internet to send one-to-one and group messages, which can include files, voice notes, images and videos, and make one-to-one voice and video calls. ## Features - Send high-quality group, text, voice, video, document, and picture messages anywhere in the world without SMS or MMS fees. Crystal-clear voice and video calls to people who live across town, or across the ocean, with no long-distance charges. Signal messages and calls are always end-to-end encrypted. Keeps your chat history tidy with messages that you can set to disappear. Free for everyone. ## Notes - Signal Desktop replaces the Chrome App which has been deprecated.